1. These new flavors of Chobani. My favorite is the apple cinnamon. The flavor of apple cinnamon really compliments the flavor of the plain yogurt. Second favorite, passion fruit. I wasn't all too crazy about the blood orange. It was good, just not as good as the others, in my opinion. 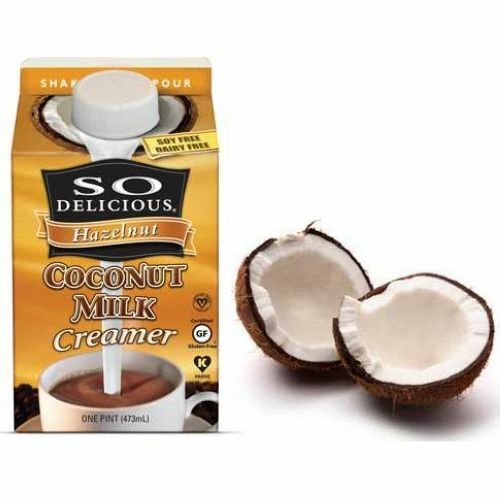 I love hazelnut flavored coffee creamer, but I'm trying to be more mindful of what I eat. I know that those non-dairy coffee creamers (good as they may taste) are full of unnatural junk. This stuff totally solves my problem! It tastes better than the fake stuff. Finally, I can have my hazelnut and eat it too! 3. 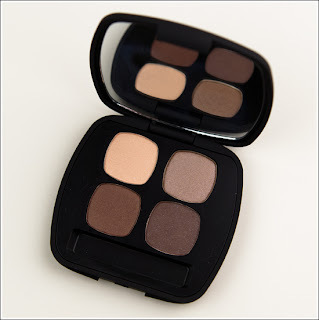 BareMinerals READY Eyeshadow 4.0 in "The Truth"
I've always used BareMinerals foundation powder, but this is my first try at the eyeshadow. It blends really well and stays on all day, even when I rub my face in frustration at some of my more "challenging" pupils throughout the day. And I love the browns...good for green eyes. Okay, so this isn't "new". I've used it in the past, but just started using it again this month. This is such a good workout if you're short on time--it's only 20 minutes but you are moving constantly the whole time. I've only made it to level 2, Jillian kind of scares me. I'm worried about what level 3 might look like! 5. 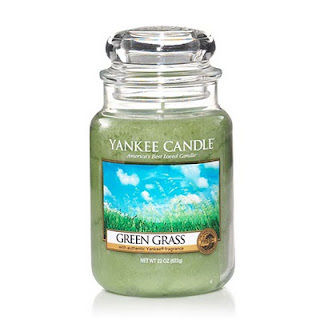 Yankee Candle in "Green Grass"
I am usually a "Sage and Citrus" girl, all the way. However, a girl in the Yankee Candle store talked me into trying this scent. I'm so glad I did. It's so clean and light--I can't stand a candle that is so heavily-scented it gives you a headache. This smells just like fresh cut grass with a hint of.....clean laundry. Weird description? Maybe. I fell in love with these sheets as soon as I saw them. I also bought an off-white Cynthia Rowley quilt and a pretty blue afghan to pull it all together. 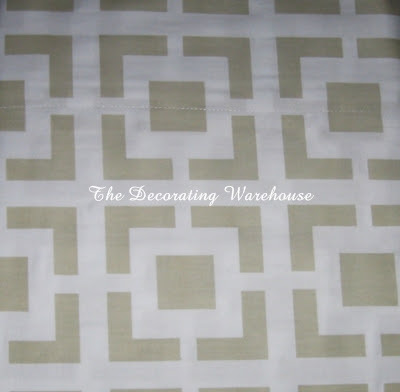 Perfect "make-over" for my guest bedroom. These are a few of my favorite things. What are you loving lately? I love this whole list. I haven't picked up the Chobani flavors. I guess they're at Harris Teeter? That's what I've heard. I can't believe Whole Foods doesn't have them yet. I have heard awesome things about that creamer. I'll have to give it a try. I almost bought that palette bc those are all the colors I wear! And The Shred...ohhhh I want that. 1 - I want to try that Apple Cinnamon greek yogurt immediately. Which gro sto did you get it from? 2- This may be a stupid question, but does that creamer taste like coconut, too? You may or may not have just made my week! I eat Chobani everyday and loveee anything apple cinnamon, so I'm sold. Must. Get. Some. Soon! !